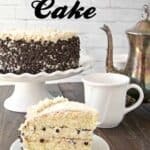 Chocolate Strawberry Shortcake with Amaretto Cream, an easy dessert recipe, and twist on the classic strawberry shortcake recipe. 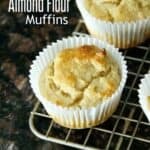 This fun spring dessert is delicious with the Amaretto Cream filling but can also be made alcohol-free. 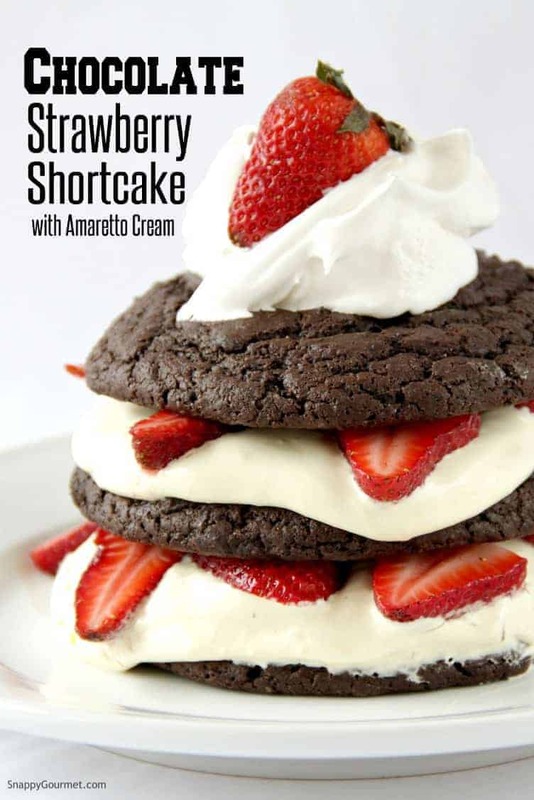 Chocolate Strawberry Shortcake with Amaretto Cream recipe for you today! Ever start off making something in the kitchen and when you’re all done, you realize you may have gone a little overboard and ended up with something completely different? Well, that’s what happened with these fun shortcakes. I started off making strawberry shortcakes, I SWEAR. Yep, just plain-old-simple-but-good strawberry shortcake. But next thing I knew I was taking out the chocolate chips, cocoa powder, and Amaretto! Maybe I am crazy, because I really think they were all calling my name from the cupboard. 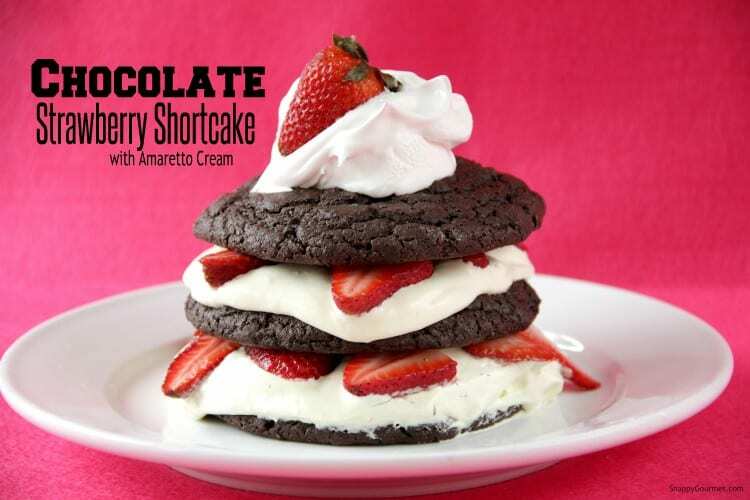 Next thing I knew I ended up with 2 very tall family-size Dark Chocolate Strawberry Shortcakes with Amaretto Cream! Just because I love you all SO much I used up every last drop of Amaretto I had in my house. Frangelico or other flavored liqueurs would be great too or leave out the alcohol and use milk. 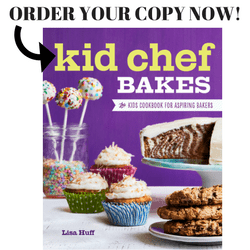 You could also make smaller shortcakes if you don’t want to make large ones. These were incredible! Or check out my other strawberry shortcake recipes like my Mini Strawberry Shortcake Poppers and Mini Grilled Strawberry Shortcake Skewers. These shortcakes are definitely big enough to share with your loved ones, or just eat one all by yourself. Your secret will be safe with me! This would be a great Mother’s Day dessert, Easter dessert, or just because you have strawberries in the house. Also great for National Strawberry Shortcake Day on June 14th. 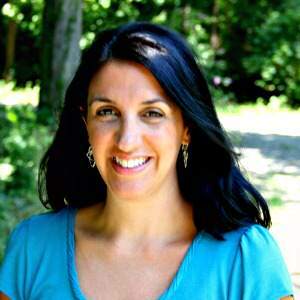 Check out my June Food Holidays for more fun holidays and recipe ideas. Always fun making strawberry shortcake, so let’s get started! 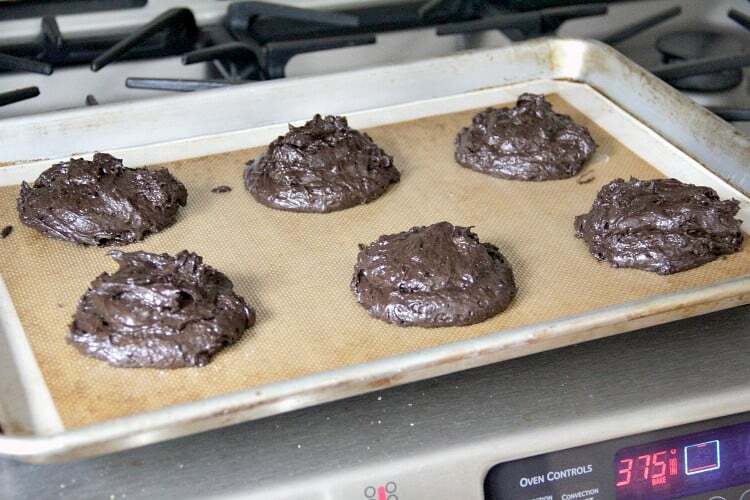 To start, preheat your oven. Then place the milk and chocolate chips in a microwave-safe bowl. Microwave on high in 30-second intervals, stirring after each interval, until smooth. Stir in the vanilla. Then set the mixture aside to cool completely. Next, make the shortcake batter. I used a food processor for the shortcake, but you can definitely make the shortcake batter in a bowl. 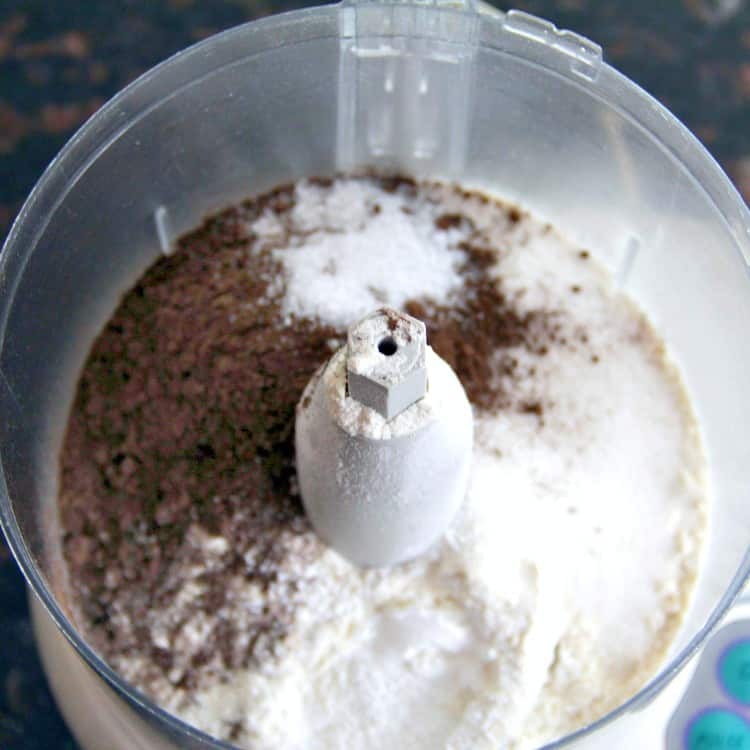 Add the flour, sugar, cocoa powder, baking powder, and salt to a food processor and process just until combined. 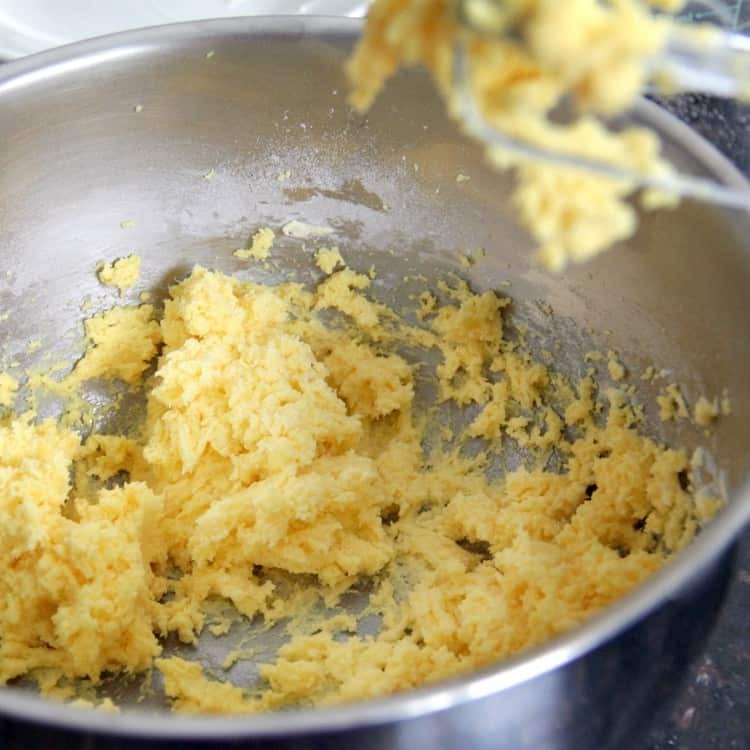 Add the butter to the food processor and just pulse a little until butter is cut in. Again, you can do this all in a bowl if you’d like and cut the butter in I added the butter with a fork, knife, or pastry cutter. Put the food processor on and slowly add the cooled melted milk and dark chocolate mixture until just combined. Spoon the shortcake batter into 6 large circles (or 12 small) onto a baking sheet that has been lined with parchment paper or a silicone mat. 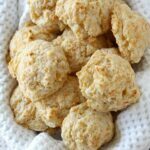 Bake the shortcakes for 15-20 minutes or until set (or about 8-12 minutes for small shortcakes). Let them cool slightly then place them on wire racks to cool completely. While the dark chocolate shortcakes are baking, start making the Amaretto cream filling. 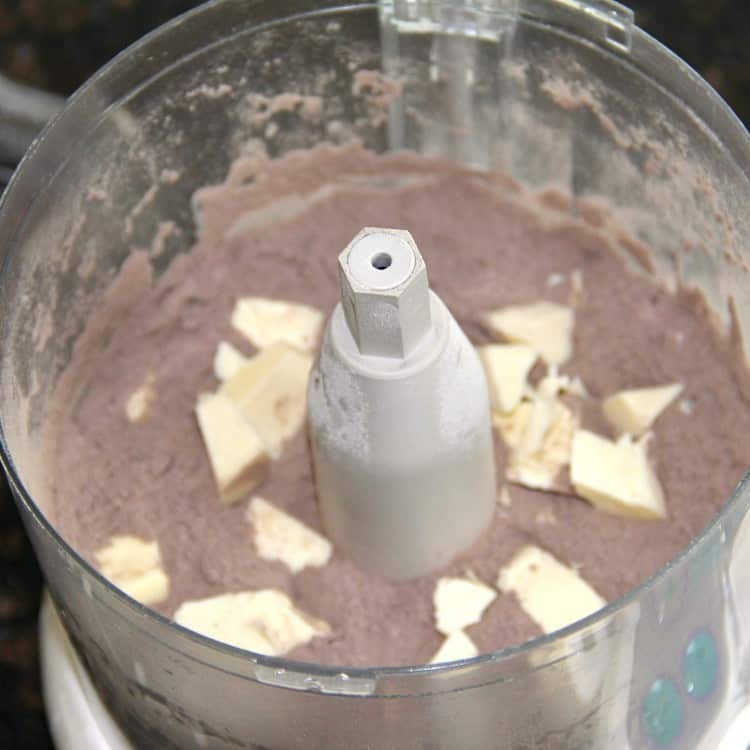 Mix together the softened cream cheese and pudding mix with an electric mixer in a large bowl. You really could use any flavor pudding you want, although I used vanilla. Just be sure you buy INSTANT pudding, and not cooked pudding. I’ve made that mistake a few times! Also, be sure the cream cheese is SOFT, otherwise your filling may be lumpy. Slowly, beat in the Amaretto and milk until the filling is well combined. Fold in the whipped topping (or whipped cream), then cover the bowl, and refrigerate for about 1-2 hours or until firm and thickened. Once your shortcakes are cool and your Amaretto cream filling has thickened, assemble the Chocolate Strawberry Shortcakes. Layer the shortcakes with the Amaretto cream filling and sliced fresh strawberries. Garnish the top with more whipped topping or whipped cream and a strawberry or a strawberry slice. 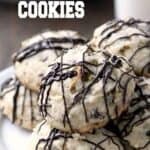 You could also break the shortcakes into small pieces and make a fun Strawberry Shortcake Shot dessert or even Strawberry Shortcake Parfait. Easy and fun! Fresh strawberries work best for this recipe. Check out my Strawberry Season information for more details. I used dark chocolate chips and dark cocoa powder but you can use semi-sweet chocolate chips and original cocoa powder if you don’t like dark chocolate. 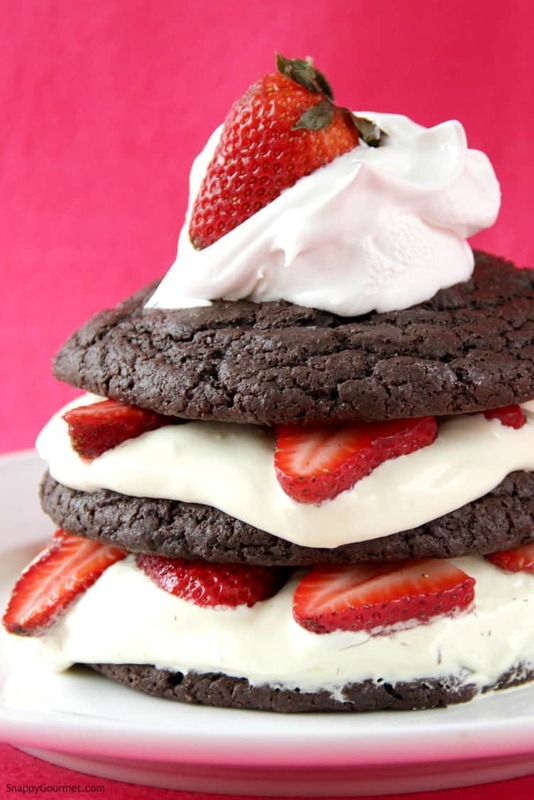 Hope you enjoy this fun Chocolate Strawberry Shortcake recipe! 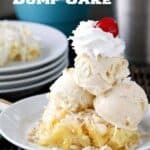 Pair these shortcakes with a fun strawberry cocktail recipe like my Strawberry Prosecco Slushie or Strawberry Pretzel Whiptini! 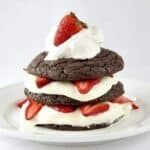 Chocolate Strawberry Shortcake with Amaretto Cream, an easy dessert recipe with chocolate shortcakes, Amaretto cream filling, and fresh strawberries. Preheat oven to 375 degrees F. Line a large baking sheet with parchment paper or silpat (or grease pan well). Place 2/3 cup milk and dark chocolate chips in a microwave-safe bowl. Microwave on high in 30-second intervals, stirring after each interval, until smooth. Stir in vanilla. Set aside to cool completely. 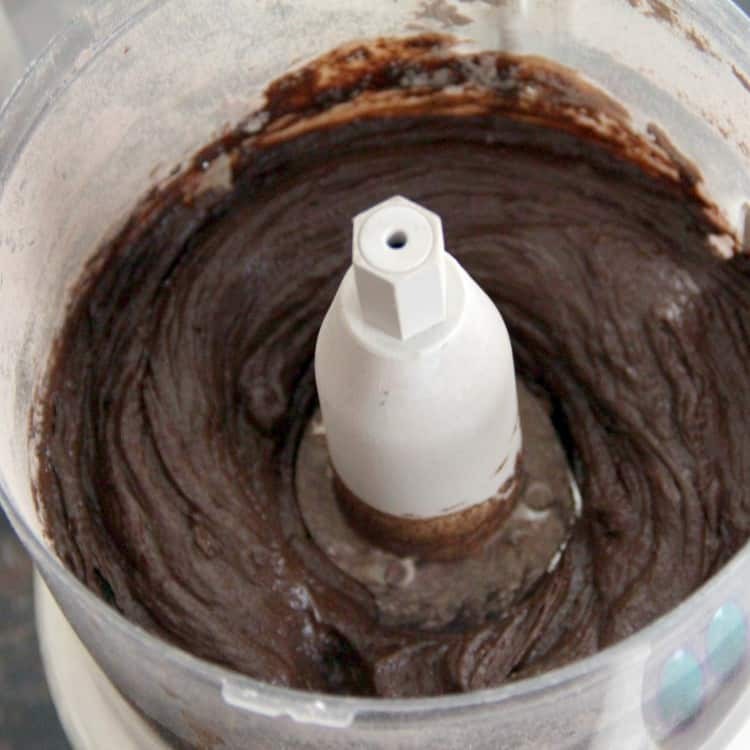 Meanwhile, add flour, sugar, cocoa powder, baking powder, and salt into food processor (or large bowl), and process until combined (or whisk together if not using processor). Add butter and process until just combined (or cut in with fork if not using a food processor). While food processor is running, slowly add milk and chocolate chip mixture until just combined (or stir in until just combined if making in a bowl). Spoon mixture into 6 large circles (or 12 small) onto prepared baking sheet. Bake for 15-20 minutes or until set (or about 8-12 minutes for small). Cool on wire racks. Meanwhile, in large bowl mix together cream cheese and pudding mix with electric mixer on medium speed until well combined. Mix in Amaretto and milk until well combined. Fold in whipped topping. Cover and refrigerate for about 1-2 hours or until firm and thickened. 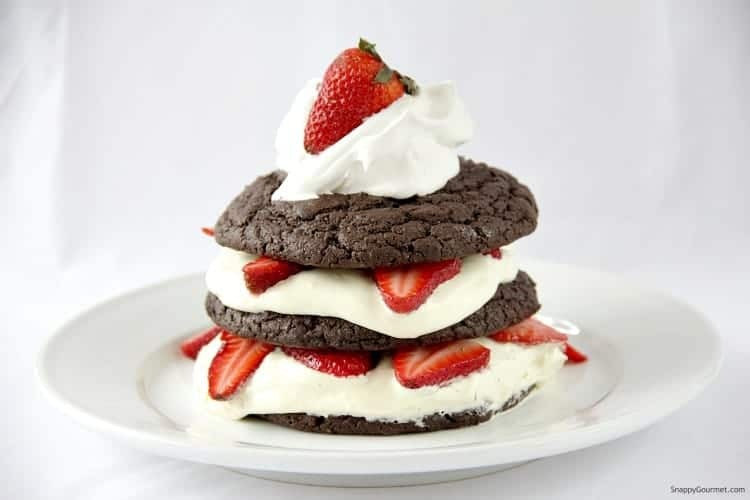 To assemble, place a chocolate shortcake on serving plate then top with cream, strawberries; repeat layers ending with a chocolate shortcake. Top with whipped topping/cream and strawberries if desired. SNAPPY TIPS: You can make smaller shortcakes rather than the 6 large shortcakes. Adjust time as needed. SNAPPY SUBSTITUTIONS: If you don’t like dark chocolate, substitute semi-sweet chocolate chips and original unsweetened cocoa powder. Instead of Amaretto you could use any liqueur or milk. Substitute your favorite flavor of instant vanilla pudding for the vanilla such as chocolate or coconut. This post was originally published May 2011, and updated with new info and slightly different photos in April 2019. 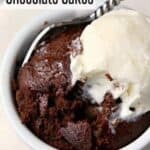 Can’t find the cream filling recipe for the chocolate cupcakes made on pioneer woman. I could wax poetic but really, my first thought was O M G! Oh my gosh, can we be neighbors?!?!??! Delicious!